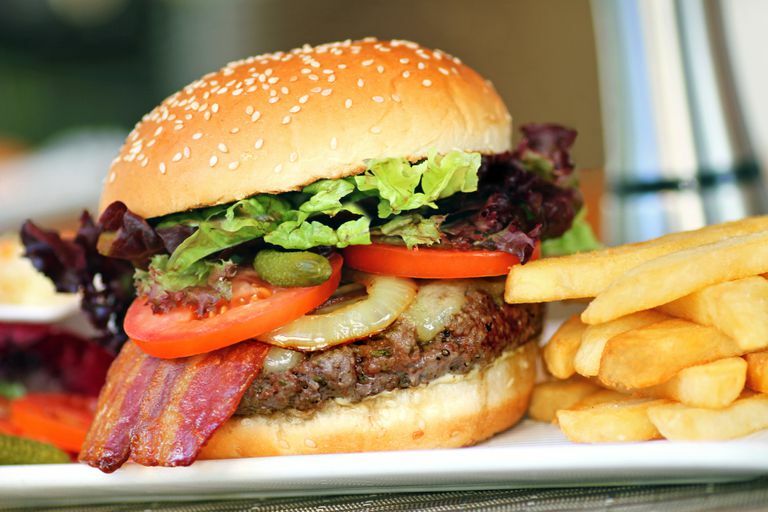 Does Junk Food Cause Inflammatory Bowel Disease (IBD)? Q: Does "Junk Food" Cause Inflammatory Bowel Disease (IBD)? A: There has been a 114% rise in cases of IBD (Crohn's disease and ulcerative colitis) resulting in hospital admission amongst young people in the United Kingdom over the years between 2003 and 2014. The steep rise has caused speculation as to what could be behind it, and if there is something in the environment which is contributing to the development of these diseases. We can put our arms around the scope of the problem, but, to put it simply, scientists still don't know what exactly causes IBD. IBD is in our genes — to date more than 100 genes have been identified as playing some part in the development of IBD. The key that we're missing is the trigger: the thing or things in the environment that "turn on" the IBD. One physician in the United Kingdom was quoted by the BBC as saying that eating "a lot of junk food" could increase the risk of developing IBD. (Multiple courses of antibiotics were also given as a reason for increased hospital admissions for IBD.) The physician later released a statement clarifying that she did not intend her quote to imply that IBD was self-inflicted. There was no elaboration on the precise definition of "junk food." What Does That Mean — "Junk Food"? Many in the IBD patient community were upset by the implication that people with IBD are unhealthy eaters, and that a poor diet was what caused their IBD. Some patients were quick to point out that they ate healthy diets — even vegan or vegetarian — before their diagnosis. Others wondered about very young children, even babies, who were diagnosed with IBD and who would not have been exposed to years of eating a poor diet. When one thinks of "junk food," certain foods come to mind: potato chips, soda pop, ice cream, and other foods that are high in fat and have no, or very little, nutritional value. These are typically thought of as Western foods, and it's true that people in non-Western countries have been consuming more of these foods in recent years. "Junk food" is a vague term and it's unclear what was meant by that term in regards to the development of IBD. A more accurate term to use when discussing diet and health might be "processed foods." However, even that term could be misleading because not all processed foods are unhealthy. Frozen vegetables and yogurt, for example, are examples of processed foods that are still considered healthy foods (when they are made without any additives). Foods with additives are sometimes referred to as "heavily" processed, while flash-frozen vegetables or fresh juices might be be called "minimally" processed. The jury is still out on whether heavily processed foods could contribute to the development of IBD. Artificial sweeteners could, arguably, be considered a highly processed food. One paper published in 2012 points to the increased use of artificial sweeteners such as saccharin and sucralose as being a potential cause for the rise in IBD diagnoses. The effect of these sweeteners on the bacteria found in the intestinal tract is thought to be the mechanism of action. A case-control study done in Stockholm, Sweden in the 90's looked at people with IBD and their diet over a period of 5 years. The authors found that in their study, patients who consumed 55 grams or more of sucrose (table sugar) a day or who ate "fast food" more than 2 times a week had an increased relative risk of developing IBD. Their data also showed that more than 15 grams of fiber daily was associated with a lowered relative risk of developing IBD. (This was called out as a high amount of fiber by the authors, but the Institute of Medicine recommends that men take between 30 and 38 grams a fiber a day, and women between 21 and 25 grams.) Another small study (87 patients) done in Israel also showed the association between a high intake of sucrose and the development of IBD. There is still no consensus on how food additives, junk food, or heavily processed foods can impact the development of IBD or the course of IBD. Good nutrition is important to everyone — and is especially critical for people who have IBD and who may already be at risk for malnutrition or poor absorption of vitamins and minerals from foods. It is fair to say that eating as healthy a diet as possible is of a great benefit in the prevention of many diseases, and can help improve the course of some health conditions. No matter what is eventually concluded regarding the impact of "junk food" on IBD or other diseases, it's important to remember that people with IBD do not bring their disease on themselves. Crohn's and Colitis Foundation of America. "Diet and IBD." 30 May 2012. 20 Jul 2014. Institute of Medicine. "Dietary Reference Intakes for Energy, Carbohydrate, Fiber, Fat, Fatty Acids, Cholesterol, Protein, and Amino Acids. National Academy of Sciences. 5 Sept 2002. 20 Jul 2014. Persson PG, Ahlbom A, Hellers G. "Diet and inflammatory bowel disease: a case-control study." Epidemiology. 1992 Jan;3:47-52. 20 Jul 2014. Qin X. "Etiology of inflammatory bowel disease: a unified hypothesis." World J Gastroenterol. 2012 Apr 21;18(15):1708-22. doi: 10.3748/wjg.v18.i15.1708. 20 Jul 2014. Reif S, Klein I, Lubin F, Farbstein M, Hallak A, Gilat T. "Pre-illness dietary factors in inflammatory bowel disease." Gut. 1997 Jun;40:754-760. 20 Jul 2014.